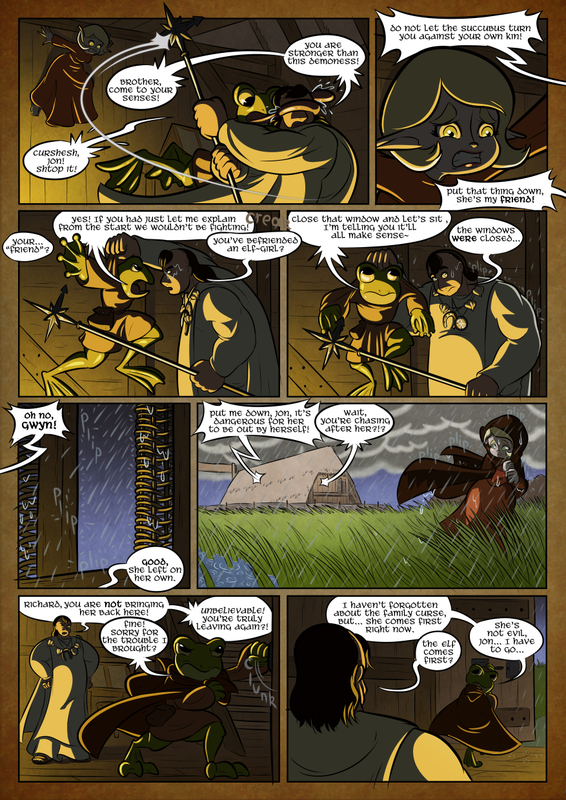 Maybe I gotta explain something about this page: Jon’s trowing around a bunch of terms for different Fantasy beings. The reason I had him do this was because, in a lot of folklore, terms like Elf, Fairy, Bogart, etc… are often used interchangeably or to describe very similar beings. Jon having never met any of those things, sees them all as interchangeable as well. Unfortunately true. Japan’s even worse about it, mixing ghosts and clearly non-magical mundane beasts in with that. Oh well, whatchugonnado. Ah the perennial problem of nomenclature. Kind of a tangent, but one interesting way I’ve seen of dealing with it was in Pact (by Wildbow), where the powers/weaknesses/identity of Others are as fluid as their classification.